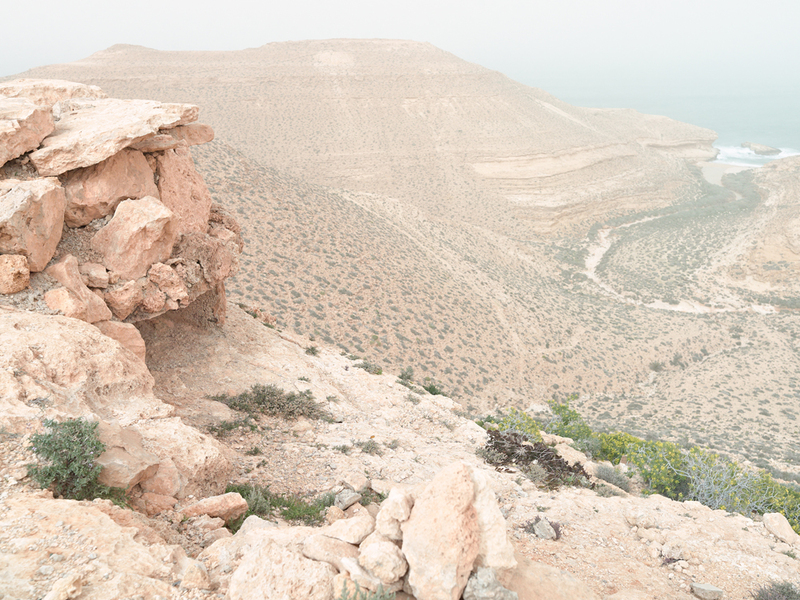 Is it possible to make a beautiful photograph of a war-torn landscape? 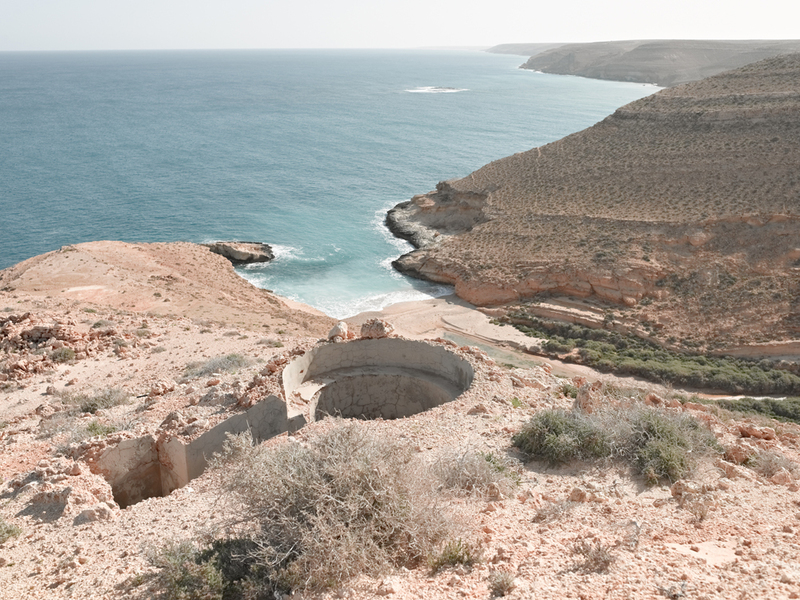 Matthew Arnold’s monograph Topography is Fate, recently published by Kehrer Verlag, is a series of photographs of various North African battlefield sites from World War II, made over the course of three years beginning in 2011. His work follows on the formal traditions of 1970’s New Topographics’ photographers like Stephen Shore and Lewis Baltz, and later photographers like An-My Le and Irina Rozovsky in its method of rethinking how we see landscapes loaded with histories of human impact. Arnold uses a seemingly objective lens to examine the strangeness of the territory and highlight the soldiers’ experience of alienation in a foreign land. 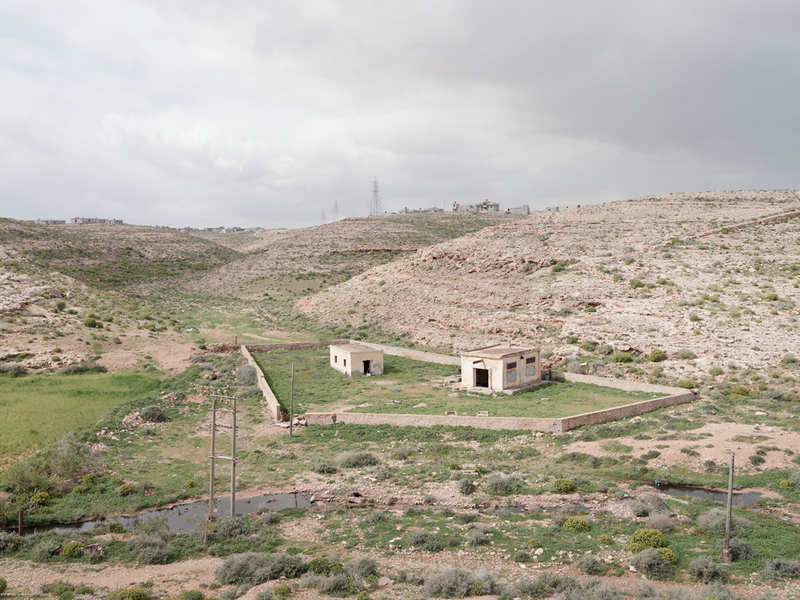 Despite the traces of the war that still exist – unexploded shells, mines, and barbed wire that litter the landscape -- he captures the landscapes in neutral daylight, detaching viewers from their violent past. “Some photographers, working in a similar vein,” writes Arnold, “shoot at dusk or through the cold mist of an overcast or rainy day in order to cast a somber mood upon historical places in a way of honoring what has taken place. I support that work, some of which is fantastically beautiful. However, I chose not to do that here. I did not want the viewer to be influenced by an editorial notion or opinion, beyond the defined framing that I chose as the photographer.” Like An-My Le, who photographed Vietnam battle reenactments in beautiful light, Arnold’s work attempts to remove theatrics from the battle experience – one that, despite their grave circumstance, did not always occur in apocalyptic lighting conditions. While the images might initially appear cold or detached, they come from a sincere combination of Arnold’s attraction to the physicality of the land and his own fascination with the World War II’s complex history. Arnold was first inspired to begin the project in 2011 after a trip to photograph a friend’s wedding in Alexandria, Egypt. 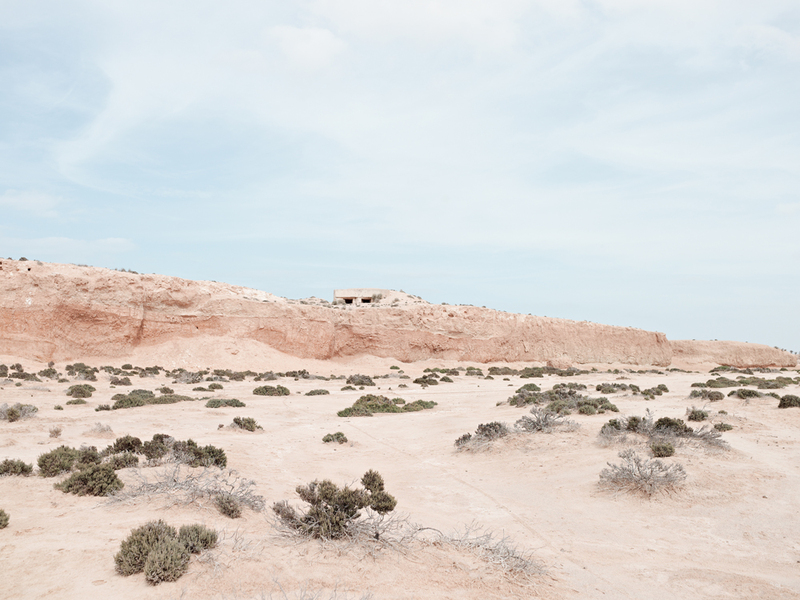 “I drove to Siwa, an oasis town near the border with Libya" writes Arnold, "and spent time just driving around the desert in a Land Rover and walking around the dunes and rocky outcrops with some water and my camera. The time spent in that unbelievably quiet place with only myself, the sand, and wind was certainly something significant and profound for me.” When he returned from this trip Arnold read Rick Atkinson’s 2002 book An Army at Dawn focusing on the early stages and battlefield struggles of the Allied invasion of North Africa during World War II, and was driven to embark on this three-year project. Bio: Matthew Arnold is a photographer living in New York City. He graduated from The School of the Museum of Fine Arts in Boston where he studied photography and offset lithography. He also studied photography at The West Surrey College of Art and Design outside London. Immediately after college he taught offset lithography and digital imaging as an adjunct professor at The School of the Museum of Fine Arts in Boston. His most recent honors include being named a Top 50 Emerging Photographer of 2014 by LensCulture Magazine and a Photolucida, Critical Mass 2014, Top 50 Photographer as well as winning the 2013 Museum of Fine Arts, Boston, Traveling Fellowship.